Pioneer settlers in Banff found the Canadian Rockies to be a wilderness undisturbed by industry, excessive trade or the usual prerogatives of the ‘civilised’ man. Now, the wild stretches of Canada’s first National Park (1885) can still offer that tantalising taste of freedom – if you know where to go. Beyond the day trippers and visitor’s car parks, many hiking trails lead high into a dramatic mountain landscape, quickly shedding the assumed skin of a tamed country park. Casual tourists evaporate and are replaced by a world of emerald lakes, granite cliffs and glaciated mountain mists: welcome to the Canadian Rockies. The lush Bow Valley creates a funnel for wildlife: elk, moose, black bear, grizzlies and bald eagles all creep through the dense green forests, drinking from the crystalline waters of the river that has savagely worn away the rocks. Each footfall is a step towards nature; invigorating and tranquil in the same breath of pure, mountain air. 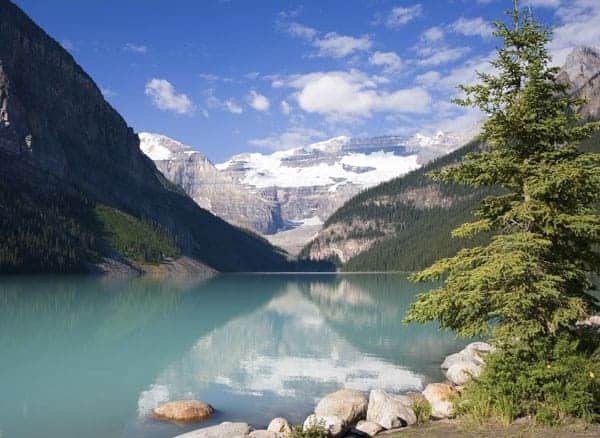 Stretching 232km into the heart of the mountains, the Icefield Parkway connects the shocking turquoise shimmer of Lake Louise to ancient blue-white glaciers and Jasper. Jasper National Park is known as the “gentle giant” of the Rockies. Less frequented by tourists than its bigger sister Banff, it is a haven for creatures great and small from the careful woodland caribou to wily wolves. Everything is set to a colossal mountain backdrop. “Beautiful British Colombia!” proclaims the slogan on BC number plates, and it lives up to its reputation. 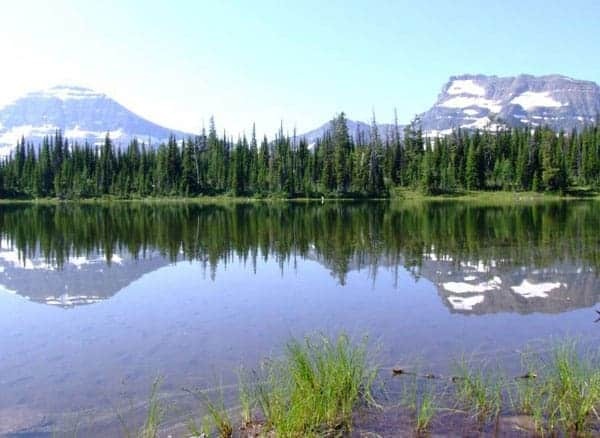 The aptly named Glacier National Park is a mountaineering paradise and sure-footed mountain goats are often seen scrambling across the crags. The elusive lynx is also known to make these hills their home, although chances of spotting these shy and beautiful creatures are low. Less covert wonders abound in Garibaldi Provincial Park, where many visitors don’t think to go. The trails are nestled between gigantic Douglas firs and the alpine flowers explode in a flush of colour, blooms decorating the trails during July and August. 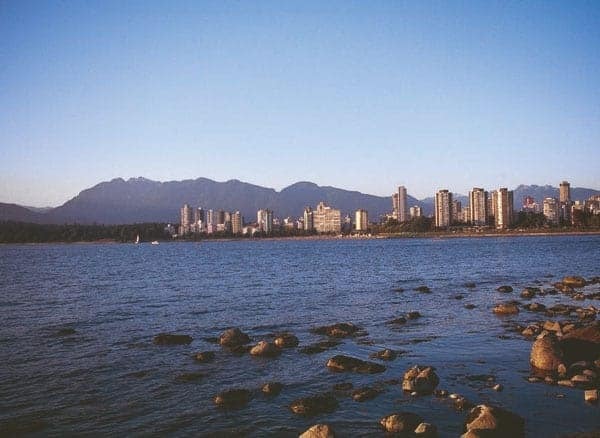 Nearby Vancouver, a coastal seaport city, where the trip wraps up, is the eighth largest city in Canada. To be surrounded by the hectic rush of the city, be close to the sea and enveloped in the silence and grandeur of the mountains in the same day gives a new dimension of meaning to the word ‘transport’. This transition is moving, both literally and emotionally. In a continent as vast as this, to experience these two extremes in such quick succession is truly rare. Vancouver Island itself almost steals the show at the last minute. A small ferry skips across the waves of the Pacific Ocean, where the endless rocky coastline and beaches offer excursions for whale watching. The pristine coastline drops into an underwater world where humpback, grey whale and killer whale encounters are all a very real possibility. Metropolitan island life is a laid-back cocktail, a mixture of salmon-swollen rivers, lush rainforests and delicious dinners. Contact our leisure travel team on 01730 711010 to plan your next Canadian adventure.